The United Nations has just held a conference to determine if killer robots violate the laws of war and should perhaps be banned. The organization behind the anti-robot initiative is the Campaign To Stop Killer Robots. Among their supporters are Human Rights Watch and Code Pink--Left and Way Left of the political center. I must confess I was unaware the technology behind killer robots had progressed to the point that the United Nations feels it must decide if android assassins should be banned. The crucial issue seems to be that a killer robot "pulls the trigger" and decides for itself who should die without human assistance, while a killer drone, for example, kills by way of a remote pilot "pulling the trigger" for the drone. It seems arguable that a robot can never kill without human intervention, as its killer programming was created by a human. Who's to blame if a robot kills an innocent person? The incompetent programmer, obviously! You can no more ban killer robots than you can keep guns out of the hands of criminals. They are marching forward and there is no stopping them. We need to keep the killer robots out of the hands of terrorists. ISIS is popular among the world's Muslims. Many thousands travel to places like Syria from all over the world to join. And millions more give them moral/financial support. Imagine ISIS with a million killer robots. Or Kim Jong-un with an army of android assassins. 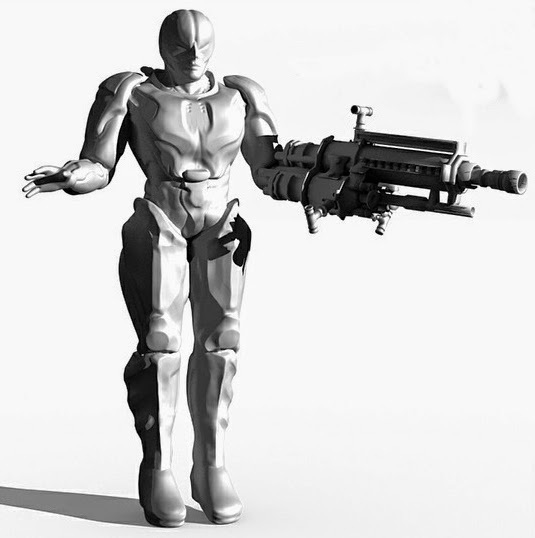 Killer robots didn't make the list but may be added within the next decade.